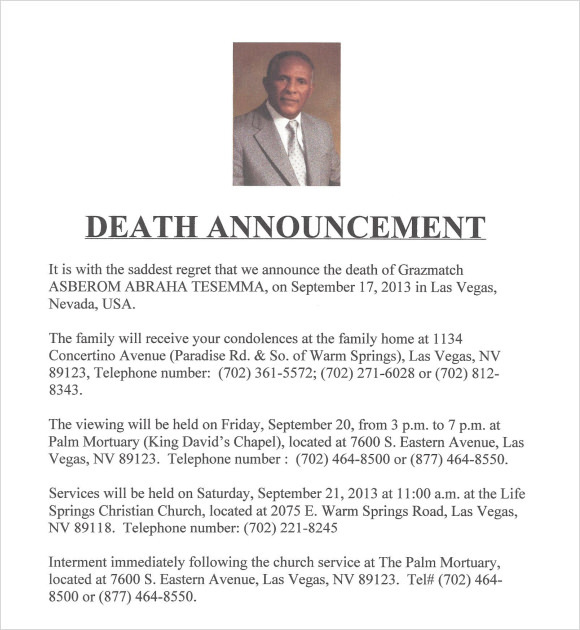 Death is certain and inescapable, writing a death notice can be difficult at this time. There are a number of templates available which can help you write an obituary or death notice. 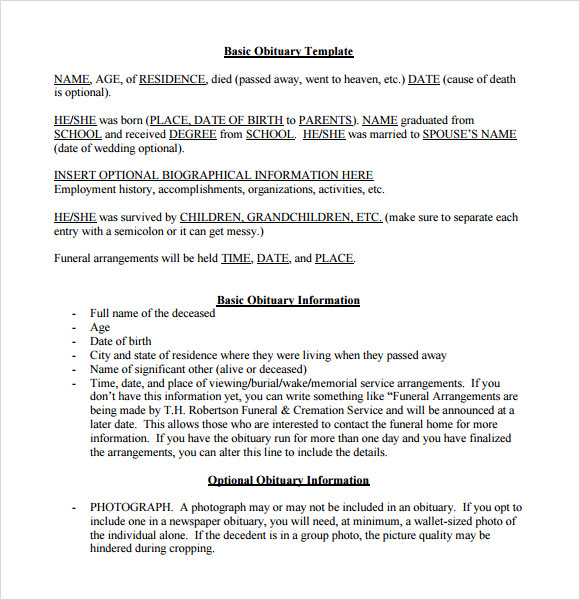 There are dozens of Copyright Notice Templates available here which you can download and print for free.Appropriate blank spaces are being provided which can be filled with your particular information like Funeral Programs .You can put down the name of person who died, the age at which he died; cause of death, parents’ name, marriage information, and name of surviving family members, professional information and achievements, awards received can all be put down in here. 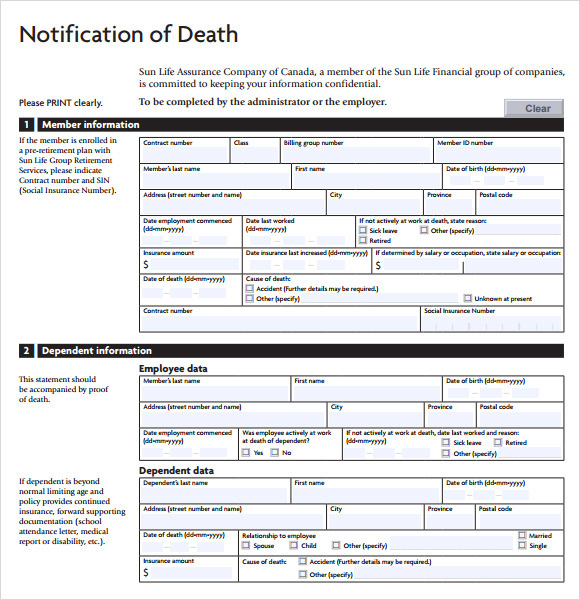 The Death Notice Template for Announcing Legal Hearers Template enables you to announce the death of a particular person along with providing details about his/her legal hearers to ensure no property or financial disputes amongst friends and families. 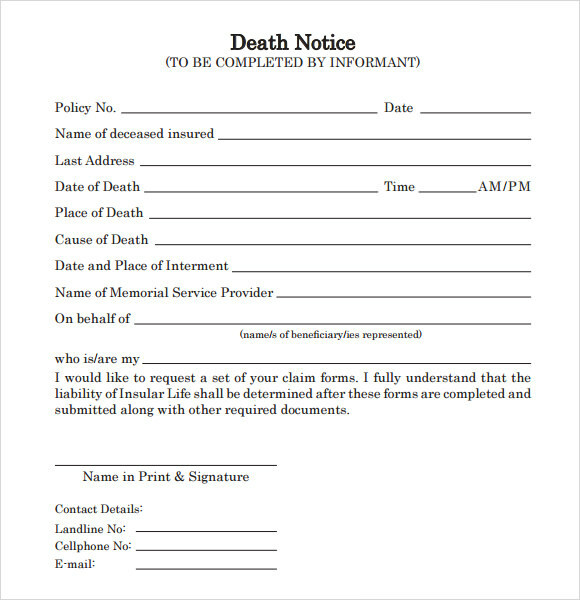 You can use these templates to state the name of the deceased, age, cause of death, date and location of death, and other vital details to avoid future conflicts. 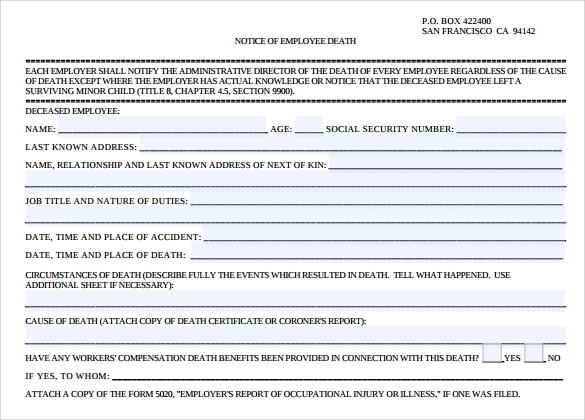 The Employee Death Notification Template is widely used by people to notify the business or corporate firm about the death of their employee. 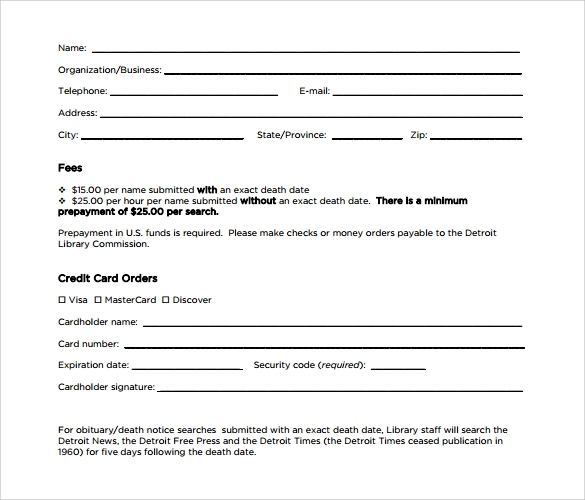 Downloading and using these templates can help you save a lot of time, money, and effort that goes into while reporting a death incident to the official employers of the deceased. The Evening Herald Death Notice Templates can be of great use while planning to share the news of sad demise of your friend, relative, colleague, or the deceased. 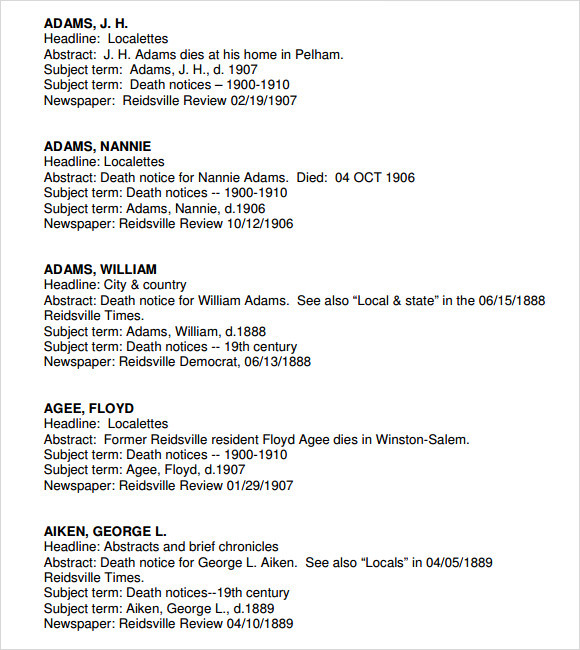 You can download and use these templates for write professional death notices that are concise and are filled with basic information of the deceased. 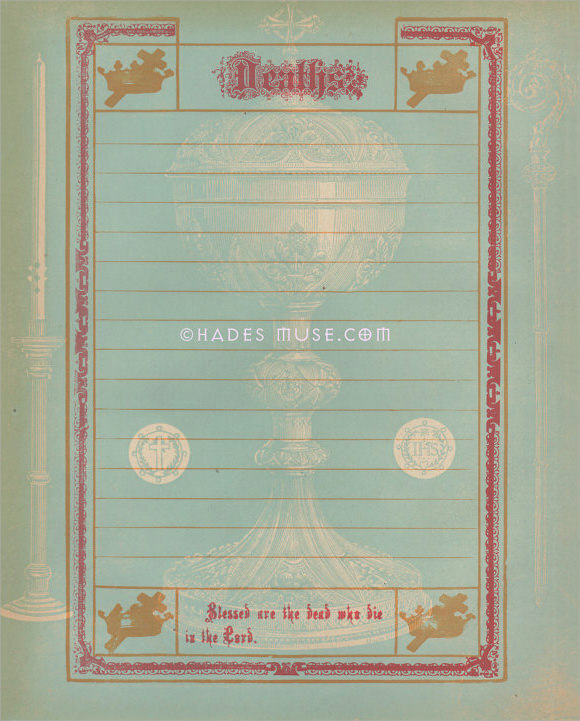 You can also use the template to announce the ceremonies related to the death and venue details to inform masses at once. 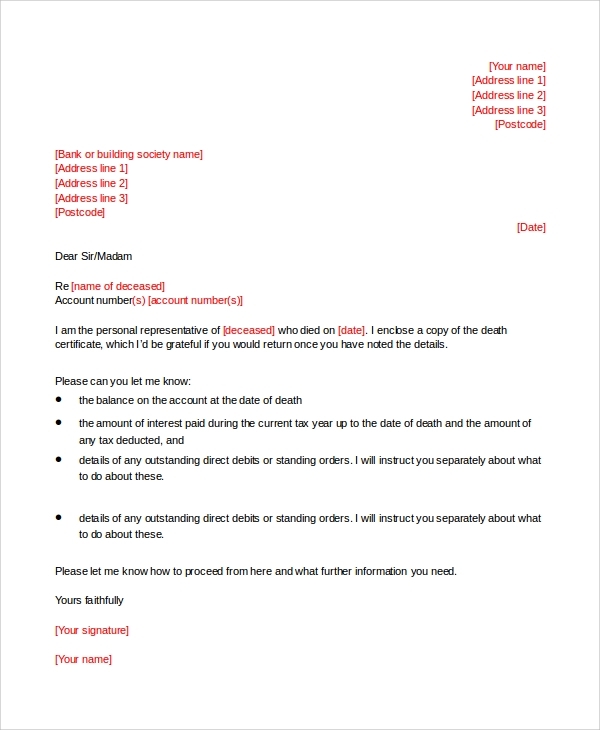 The Death Notification Letter to a Bank or Building Society Template enables a user to describe information including name of the deceased, age, location and time of death, and other vital details with ease. You can customize these templates to inform about the sudden demise of an individual and request the bank or society to close down all the accounts or activities related to the particular person. Why You Must Use These Readymade Templates? 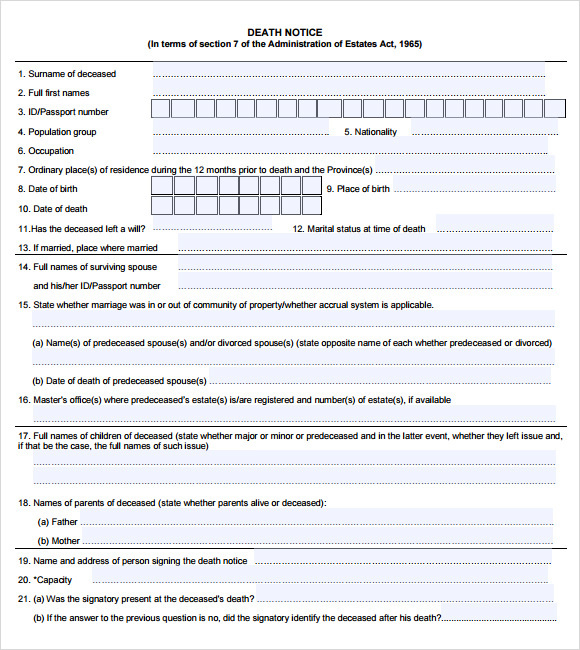 You can use these detailed templates to answer various questions about the deceased including the name of the person who died, age of the individual, date and location of death, reason of death, legal hearers of the deceased, names and details of the surviving family members, and other important details to ensure that the death report gets formulated in the correct manner. You can easily customize and use these templates to provide accurate details to the municipal corporation of your area for claiming a detailed death report or demise letter of an individual. 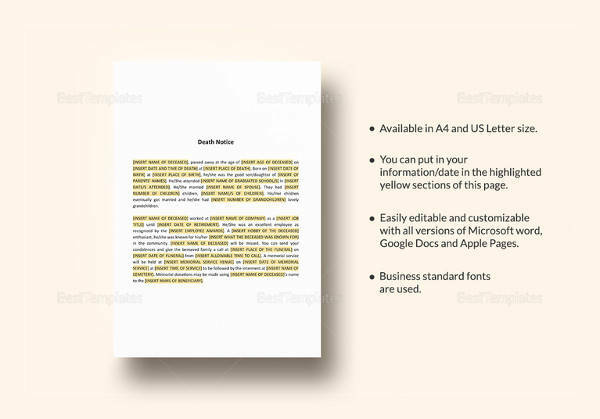 Apart from these, all of these templates can be used to publish or share the funeral service details, along with their timings and venue to leave no space for confusions.